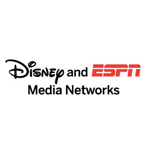 "WatchESPN and WATCH Disney are some of the most popular brands available for streaming and now our customers will be able to access them on their TVs through their Roku streaming devices"
SARATOGA, Calif.--(BUSINESS WIRE)--Roku® Inc. and Disney & ESPN Media Networks today announced that they have agreed to deliver live programming, events and video via WatchESPN, WATCH Disney Channel, WATCH Disney Junior and WATCH Disney XD on the Roku streaming platform. Beginning today, Roku customers who receive ESPN’s linear networks as part of an affiliated video subscription will be able to access ESPN, ESPN2, ESPNU, ESPN3, ESPN Deportes and ESPNEWS through WatchESPN on their Roku devices. ESPN Goal Line and ESPN Buzzer Beater will also be accessible when those channels are in season. Additionally, WatchESPN on Roku includes an on-demand video offering that features the most recent and relevant content available. Later this month, Roku customers who receive their video subscription from an affiliated provider will also be able to access WATCH Disney Channel, WATCH Disney Junior and WATCH Disney XD. WatchESPN on Roku delivers a one-stop video destination for sports fans with live access to popular sports and fan-favorite shows including college football and basketball, Monday Night Football, MLB, NBA, major golf tournaments, all four Grand Slam tennis events, SportsCenter, PTI and more. Additionally, curated on-demand video featuring the most recent and relevant content – including highlights and news clips from ESPN.com as well as short-form segments from programs such as E:60, Outside The Lines, SC Featured, Sport Science and others – will be accessible through WatchESPN on Roku to all users. Current affiliated video providers for WatchESPN – available to 55 million households nationwide – include Time Warner Cable, Bright House Networks, Verizon FiOS TV, Comcast’s Xfinity TV, Midcontinent Communications, Cablevision’s Optimum TV, Cox, AT&T U-verse® TV, Charter and Google Fiber (coming soon to NRTC members’ customers). The WATCH Disney Channel service features the same great Disney-branded original programming seen on the top-rated channel for kids and families including "Austin & Ally," "Phineas and Ferb," "Jessie," "Good Luck Charlie," "Dog With A Blog," "Shake It Up," "Gravity Falls" and "A.N.T. Farm." The WATCH Disney Channel service also includes Disney Channel’s Disney Junior programming block for kids age 2-7 featuring the hit series "Mickey Mouse Clubhouse," "Jake and the Never Land Pirates," "Doc McStuffins" and "Sofia the First," which all blend Disney's unparalleled storytelling and beloved characters with learning components, including early math and language skills, as well as healthy eating and lifestyles, with an emphasis on social and emotional development. The WATCH Disney services are available to approximately 43 million subscription television customers. Current affiliated video providers for the WATCH Disney services include Verizon FiOS TV, Comcast’s Xfinity TV, Midcontinent Communications, Cablevision’s Optimum TV, Cox, AT&T U-verse TV, Charter and Google Fiber (coming soon to NRTC members’ customers).